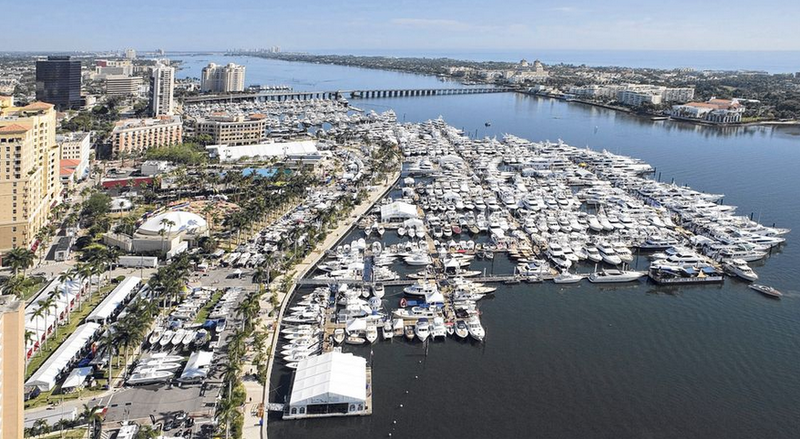 On Thursday West Palm Beach is opening the Palm Beach Boat Show in Florida, which will be showing over $1.2 billion worth of boats and yachts. All this week crews have been setting up boats, docks, booths and tents downtown on Flagler Drive for the boat show – Which will be here from March 21 through March 24. 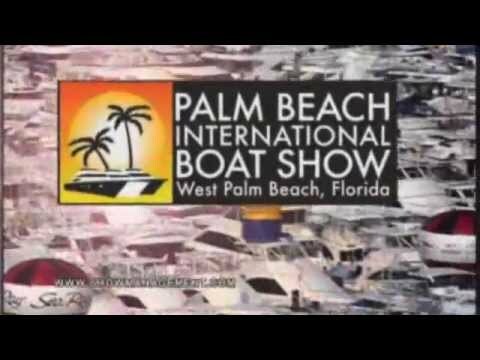 This is the 28th year of the Palm Beach Boat Show which is located in West Palm Beach, Florida at the Lake Worth Lagoon. 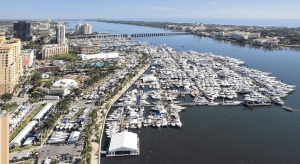 At the West Palm Beach International Boat Show you’ll be able to see equipment and goods ranging from inflatable boats to super yachts, and the accessories that go with them. Included in the displays are a large variety of power boats, bow riders, and personal watercraft. The boat show brings with it a large impact on the Florida economy. Boating business booms and the taxes bring a strong economic growth. Last year’s boat show generated $2.8 million and State exise and sales taxes. The show hours are 12 PM – 7 PM on Thursday, 10 AM- 7 PM on Friday and Saturday, ad 10 AM – 6 PM on Sunday. Tickets are $16 for adults, $7 for children ages 6 to 15, and are free for children under 6 years old. You can also save $2 by purchasing tickets online at ShowManagement.com. These photos will be uploaded to the Palm Beach International Boat Show Facebook page, and the top 5 with the most likes will have a chance to pick one of the magazines above for the free one year subscription. The photos can also be uploaded directly to the Palm Beach International Boat Show facebook page for entry. At the 2013 Miami Boat Show we’re looking forward to getting a look at the new Quadski that was released in mid-November 2012. 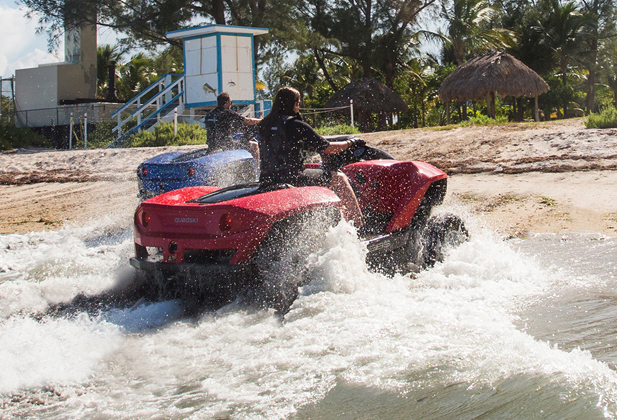 The Quadski is an ATV that has an addition that others don’t, the ability to ride on water. With one push of a button, and a few seconds for transition, this ATV goes from powering through trails to making waves like a jet ski. Make sure you come and check it out this year at the Miami Boat Show! Named “The World’s First High-Speed Amphibian (HSA)” the Quadski is built with a durable light-weight composite hull, and it utilizes patented water-jet technology and combines with the power of a BMW Motorrad engine and transmission for an extreme ride. The Quadski comes with a 15-gallon tank and is available in five colors – red, blue, yellow, silver, and black – and is also on sale at dealerships in Florida, Texas, New York, Michigan, and in some Midwestern and southeastern states. Come to the 2013 Miami Boat Show and see the GIBBS Quadski on display at the National Marin Super Yacht Toy Store and get a closer look. Along with the Quadski, you can expect to see nearly 3,000 boats being showcased by over 2,000 companies, a wide range of marine engines, and boatloads of gear and accessories. The Quadski converts from land to water at the push of a button, which activates the unique retractable suspension system that offers outstanding ride and handling on land, and reacts in just seconds after entering the water. The engine is a four-cylinder, electronic fuel-injected, water-cooled engine that is considered the lightest in its segment. This HSA is over 10.5 feet long, is 5.2 feet wide, and 4.3 feet high with a wheelbase of 5.8 feet to meet applicable state and federal safety regulations. 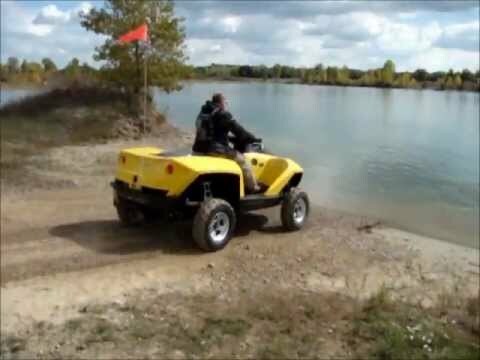 Gibbs Sports Amphibians, Inc. (BIGGS) put millions of dollars and years of work into developing the Quadski, and are manufacturing it in a 54,000-square-foot plant in Auburn Hills, Michigan. GIBBS development of the Quadski has made them a pioneer in the development of HSA technology that will lead the way to a new way to have fun with ATVs. GIBBS other division Gibbs Amphitrucks Inc. put out similar products, but designed for military or first responders instead of for sporting. More information about GIBBS and its HSA technology can be found at www.gibbssports.com. As the world’s largest mega yacht, the Eclipse includes two helicopter pads, two swimming pools, several hot tubs, 24 guest cabins, and a disco hall. The security system is fitted with an intruder detection system and a German-built missile defense system. Also equipped is an anti-paparazzi laser system, which although it does not fire lasers at the paparazzi it does blind their cameras. This system is not always online, but is activated when a possible paparazzi is nearby. The mega yacht Eclipse has even more protection than mentioned previously. The master suite and bridge are both fitted with armor plating and with bulletproof windows to offer superior protection for its passengers. This, along with the intruder detection system and the missile defense system, makes the mega yacht Eclipse not only a wonder to look at but also a safe house on the water! 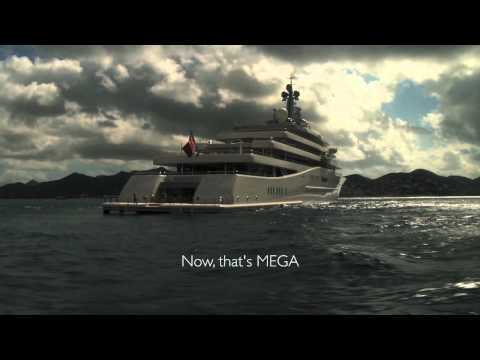 As you can see in the videos, this is a beautiful and exceptionally large mega yacht. Eclipse was launched in June of 2009 and arrived the following September in Denmark for testing. In December 2010 this mega yacht was delivered to its owner, Roman Abramovich, after all testing was completed. Starting February 2011 Eclipse was made available as a charter yacht through SuperYachtsMonaco, a yacht broker based out of Monaco. You can also see that the paparazzi shield system is not always on, as the videos were possible to take. The system is enabled manually and will continue to function until disabled, which would be when the threat of paparazzi is gone. Come and check out the upcoming Miami International Boat Show this February and see many mega yachts visiting us just for this show! Get your tickets now and join us at the show from February 14-18 and enjoy the yachts with us! The Miami International Boat Show, one of Miami’s biggest events each year, has been running since the 1940’s and is heading our way again! This February, from the 14th to the 18th, we get to experience another amazing event for boaters and yachters from around the world. This boat show brings tourists in from all over the world to make it an amazing spectacle every year. Even the Super Bowl get’s put on hold for it! Presidents Day weekend becomes one of the busiest times of the year in Miami to manage all of the tourists coming in to see ships and yachts of all shapes and sizes. Tickets are already on sale for the event and preparations are being made. Tickets can even be picked up as a combo pack for the Boat Show and the Coconut Grove Arts Festival, which coincide with each other every year. 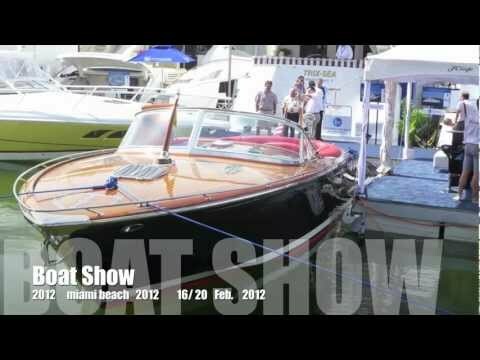 Take a look at Miami’s International Boat Show from last year! Did you enjoy last year’s Boat Show? Are you coming this year? If so, please click the LIKE button the share this on Facebook.